Caring for your parents when they get old can present many challenges. Here’s what you need to know in order to accomplish this. Caring for elderly parents or loved ones can be one of the most challenging responsibilities that children or other family members face. Those with aging parents may have to provide for them financially as well as in other ways, such as helping with activities of daily living (ADL). Fortunately, there are many resources available that can help to ease this burden, and adult children don’t have to care for their aging parents all by themselves. But there are many decisions that have to be made, and siblings will need to work together to ensure the safety and happiness of their parents in their declining years. Below is a 12 step checklist of things that must be considered if you are caring for your parents. If you’ve already taken the steps outlined in the checklist, jump forward to how you can pay for your parents medical expenses. You may have to decide whether your parents will continue living in their own home receiving home care, with you in your home, or in an assisted living facility. Of course, the costs of at-home care or assisted living facilities are unaffordable for many children. Additionally, there can be health and safety concerns for those who want to stay in their current home. Allowing your parents to move in with you is often the best option, as this can be financially feasible and also allows you to provide at least some measure of care that you or they would otherwise have to pay for. However, your parents moving into your home may lead to a loss of privacy and the blurring of longstanding boundaries that you have had with your parents since you became an adult. Living together will likely require some renegotiation with your parents regarding certain issues, such as who will clean up after them or whether they can still do this themselves. 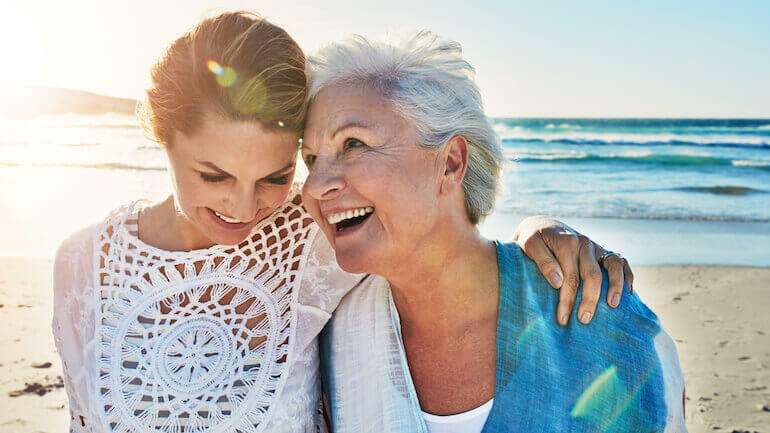 If caring for your parents is going to be a full-time exercise, then you may contemplate whether you should quit work to care for your parents in their declining years. But you need to consider the impact that this would have on your retirement savings as well as whether you will still be employable when you try to reenter the workforce after your parents are gone. Would your job skills still be relevant to employers a few years from now? Also, consider the impact of losing your benefits from your employer, such as life and disability insurance, long-term care insurance, and health insurance. How will you replace this coverage? Finally, and perhaps most obviously, there is the issue of how you will support yourself if you leave the workforce to support your parents. Do you have enough saved to do that? There are several programs that can provide a regular stipend for caring for your parents. Medicaid is one of these, but both your parents and you have to qualify. Medicaid offers four separate programs that provide compensation for caregivers. They are the HCBS Waivers and 1915 Waivers, Medicaid Personal Services, the Medicaid Caregiver Exemption and Adult Foster Care. The availability of these healthcare programs varies by state, but every state has at least one of these four programs. Special programs are also available to veterans. Are there any state, local or charitable programs that can assist with either the costs or the services required to care for your parents? If so, don’t hesitate to enlist them as soon as possible. The federal government has an elder care locator that helps you to find local service providers for your parents. The National Council on Aging also has a benefits checklist service that lists over 2,500 caregiver support services available nationwide. Also be sure to check out the National Association of Area Agencies on Aging to see what programs they have to offer. Find out exactly what is covered under these two plans and help your parents to choose a supplemental Medicare policy that fills in the necessary gaps. Medicaid can provide long-term care as long as your parents are willing to spend down almost all of their assets. Medicare only provides help for short-term nursing home stays. But you should also look at all of the deductibles and copays that come with these forms of insurance. Find out whether your parents can afford to pay the out-of-pocket costs that they will be expected to shoulder. Also, look at their private health insurance if they have any to see what services it covers and what the limits are. If caring for your parents requires a skill set that is beyond your capacity to perform, it may be wise to talk to a geriatric-care manager who can create a care plan for you to follow. Professional help may also be able to point you to local programs and resources that can save you time and money. Check out the Aging Life Care Association (formerly known as the National Association of Professional Geriatric Care Managers) to find a manager near you. Guarding against financial scams – Many hucksters choose to prey on elderly people because they are easier to persuade to send money or provide personal information. The number of cases of financial abuse of the elderly is on the rise, so be sure that all of your parents’ investments and other purchases are legitimate. At some point, you and your siblings will have to sit down with your parents and find out exactly how they want to live and what they want to have done when you and your siblings assume the legal responsibility of making decisions for them. This may be an uncomfortable conversation, but it’s a necessary one and it can prevent misunderstandings later on. Take at least a cursory look at your parents’ investment portfolio to make sure that it fits their current investment objectives, risk tolerance and time horizon. If you were to discover that your parents, who are in their eighties or nineties, have 80% of their money in stocks or stock mutual funds, then it’s probably time to reallocate their assets into more conservative holdings like bonds. Find out who their financial advisor is and how to get hold of him or her if necessary. You should probably also meet with the advisor at least once just to get a sense of whether he or she really has your parents’ best interests at heart. If you are the designated family caregiver and your parents have substantial assets, you should encourage them to have a revocable living trust drawn up and funded so that their assets can avoid the probate process. If they haven’t already, this is also the time for them to create living wills, medical directives and a special or general power of attorney so that you or your siblings will be authorized to act on their behalf when they become unable to make decisions for themselves. If your parents live with you, then this may work out well for a period of time. 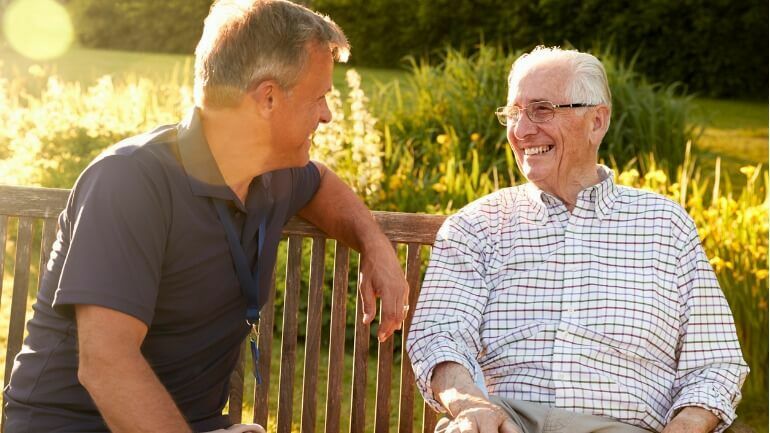 But if one or both of them start showing signs of dementia such as Alzheimer’s or become unable to perform at least two out of six activities of daily living (ADL), then it’s probably time to look at enlisting professional help. This will also be needed if your parents start to need a level of in-home treatment that you are not qualified to perform as a child caregiver. Go over your parents’ living expenses with them to see how well they are able to support themselves. If they are coming up short, then you and/or your siblings will likely have to make up the balance. Make a list of your parents’ resources and assets along with any resources or assets that you can provide for them to see what the financial impact will be if they continue to live in their house, go to an assisted living facility or move in with you. A cash flow statement and a balance sheet can aid you in determining the proper course of action. 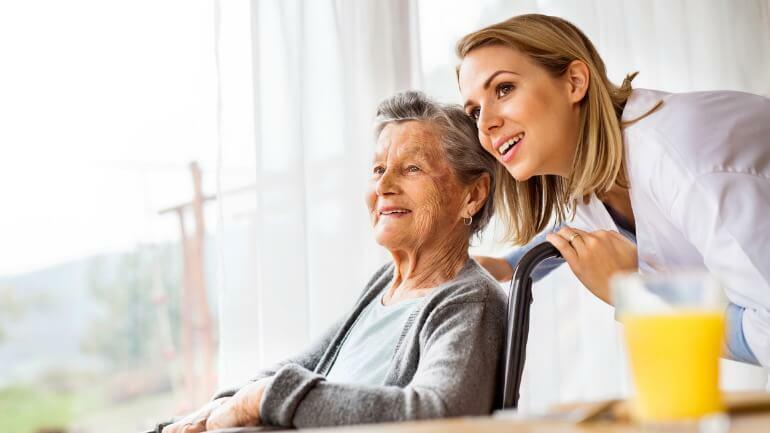 If your parents incur major medical or personal care bills that they and you are unable to pay, such as nursing home care, then they may consider such alternatives as a personal or home equity loan. Surrendering the policy – If your parents no longer want their life insurance policies, then they can simply cancel them and take the remaining cash value and use it to pay bills. However, this alternative effectively cancels the death benefit coverage of the policy, thus eliminating a windfall for the beneficiaries (one of which may be you). Take a cash withdrawal – Your parents can also make a straight withdrawal from the cash value of the policy and use the proceeds to pay bills. This alternative will not cancel the policy as long as they don’t take out too much. Take a policy loan – This is probably the most popular way to access the cash value inside of a permanent life insurance policy. This type of loan has no underwriting requirements since your parents are essentially borrowing from themselves. The policy is used as collateral for the loan, and the interest rate charged to the cash value is usually lower than those of banks or other traditional lenders. Life settlement– This is perhaps the best way to get money out of a life insurance policy. Your parents can sell their policies to a qualified buyer who will assume the responsibility of paying the premiums. The buyer will pay your parents a sizeable lump sum up front and then collect the death benefit when they are gone. This alternative is rapidly gaining in popularity because the sellers usually get much more than just the cash value in the policy. Viatical settlement– If one or both of your parents are either terminally ill or cannot perform at least two out of six of the activities of daily living (ADL), then they are eligible to sell their policies in a viatical settlement. The procedure for this is materially the same as for life settlements, but the payout is usually larger than with life settlements. Caring for elderly parents can be a daunting task in many cases, but knowing what resources you have available and planning ahead can greatly ease this burden. This job may also help you to become more aware of how prepared you need to be when the time comes for your own children to take care of you. Consult your financial advisor, life insurance agent or elder care attorney for more information on elder care and how you can best help your parents manage this last phase in their lives.